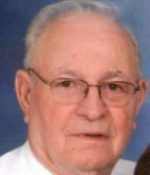 Remembering Alvin Northcutt | Remembering Alvin Northcutt | De Soto Obituary Search | Dietrich-Mothershead Funeral Home, Inc. Remembering Alvin Northcutt | De Soto Obituary Search | Dietrich-Mothershead Funeral Home, Inc.
Alvin E. Northcutt, Sr. was born August 17, 1935 in Richwoods, MO. 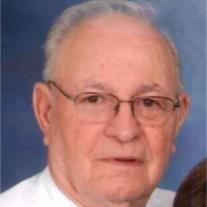 He was the son of Theodore Samuel “Sam” Gertha (nee Missey) Northcutt. He died on November 15, 2016 at Missouri Baptist Hospital in St. Louis, MO. He is survived by his wife, Paulette Northcutt, De Soto, MO; two sons, Alvin “Corky” (Joyce) Northcutt, Jr., De Soto, MO and Kenny (Kris) Northcutt, De Soto, MO; stepdaughters, Linda Ames, De Soto, MO and Gail Ames, Fenton, MO; stepson, Michael (Donna) Ames, O’Fallon, MO; siblings, Judy (Kevin) Whitfield, Eddysville, KY and Lester “Runt” Northcutt, Richwoods, MO; 11 grandchildren and 7 great-grandchildren. He is preceded in death by his parents; his first wife, Mary Northcutt; one daughter, Brenda Howell, one step-daughter, Carol Ann Ames; siblings, Ethel (Malcolm) McEwen, Norma Lee (George) Smith, and Ruth Ann (Harvey) Conner. Alvin was a member of Carpenters Local #2214. As an expression of sympathy memorials to the St. Rose of Lima Adopt-An-Angel or Birthright.